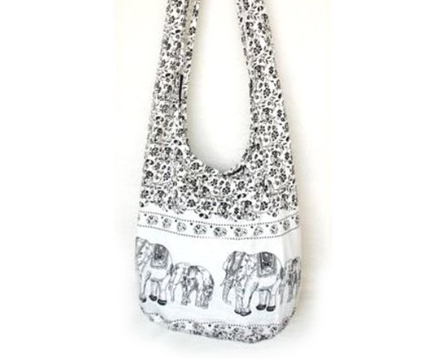 Hippie Elephant Sling Crossbody Thai Purse Only $8! You are here: Home / Great Deals / Amazon Deals / Hippie Elephant Sling Crossbody Thai Purse Only $8! Here’s is a funky, lightweight bag for you to wear all summer! This bag, while good sized is not meant to carry a ton of heavy items, so use it for your summer essentials! Wear this Hippie Elephant Sling Crossbody Thai Purse for Only $8, when you want a look with a little edge! Get FREE shipping on orders > $35!